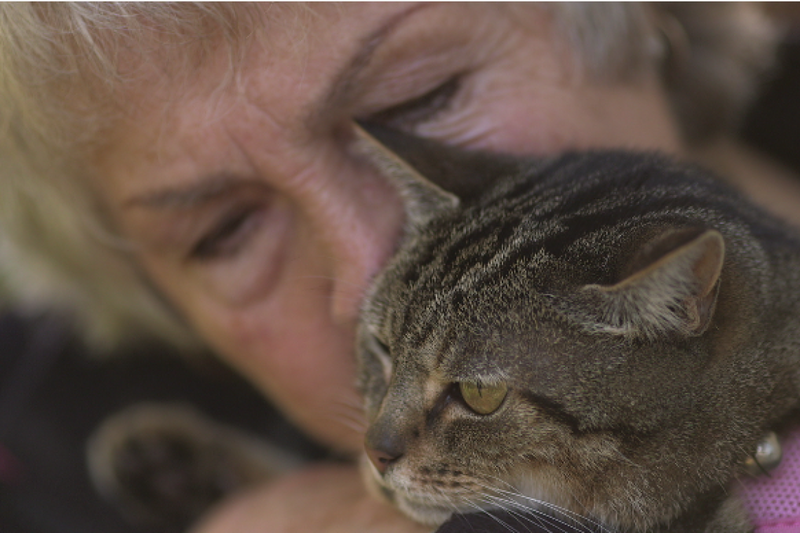 Home > Pet Owners > Patient Stories > Pixie’s Story – The PerFiTS wonder cat! 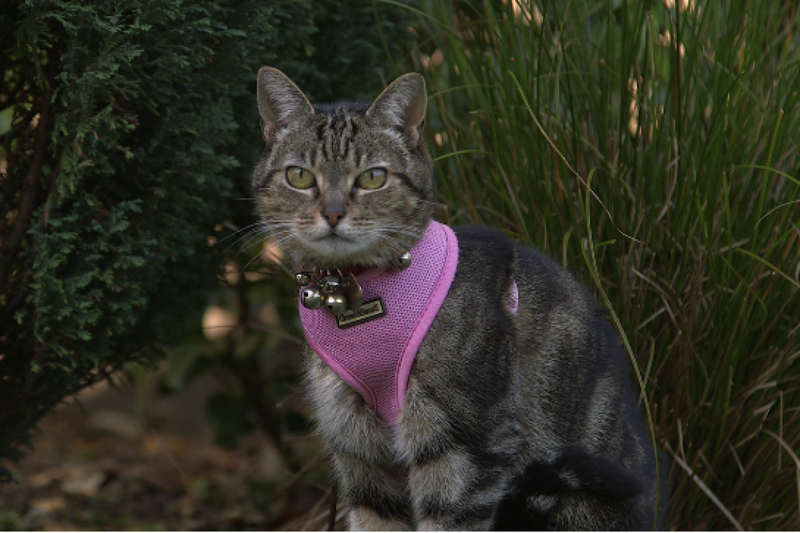 Pixie was found cowering in a neighbours garden; it was clear she was seriously injured when her owner found her. Pixie was stabilized at her local vets before being transferred to Fitzpatrick Referrals for specialist care. When she arrived we got to work getting to the bottom of her injuries. After a long discussion with Pixie’s owners, it was decided that despite Pixie’s advanced years she was a happy cat that loved her life and she should be given every chance to get through her injuries! 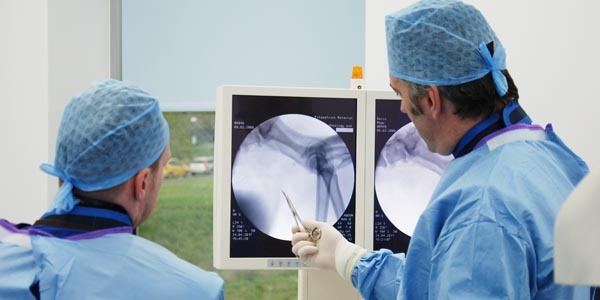 Pixie was brought to theatre to stabilise the fractures of her pelvis; Noel used an external fixator system that allows fractures of the pelvis to be repaired in a minimally invasive fashion that reduces the pain associated with surgery and helps fractures heal quicker as the blood supply to the bone undergoes minimal disruption. During surgery it was found that Pixie’s sciatic nerve, one of the major nerves supplying the muscles in the legs, was trapped in the fragments of the fractured pelvis and while not completely severed it appeared to be seriously injured. Over the next few days Pixie started to show signs of early improvement however it soon became apparent all was not well with Pixie’s injured ankle. While we had tried to nurse Pixie’s injured limb back to health the blood supply was compromised to her lower limb causing it to become necrotic. Pixie was brought to theatre for a rapid partial amputation of her injured limb as the necrosis was beginning to make Pixie very unwell. 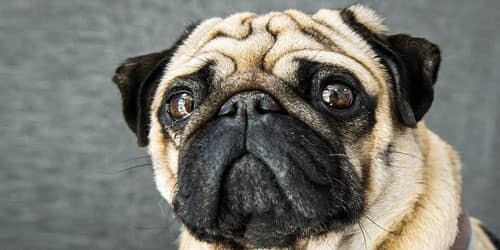 In addition to the need for emergency amputation Pixie’s red blood cells, the oxygen carrying cells in the blood, were serious low. We had to call for help on Facebook and Twitter to find a suitable blood donor and after surgery and a blood transfusion, Pixie was looking a lot happier about life. This was not the end of the road for Pixie, with a serious neurological deficit to one leg and a partial amputation of the other limb it was clear Pixie was going to have to have further surgery or face euthanasia. 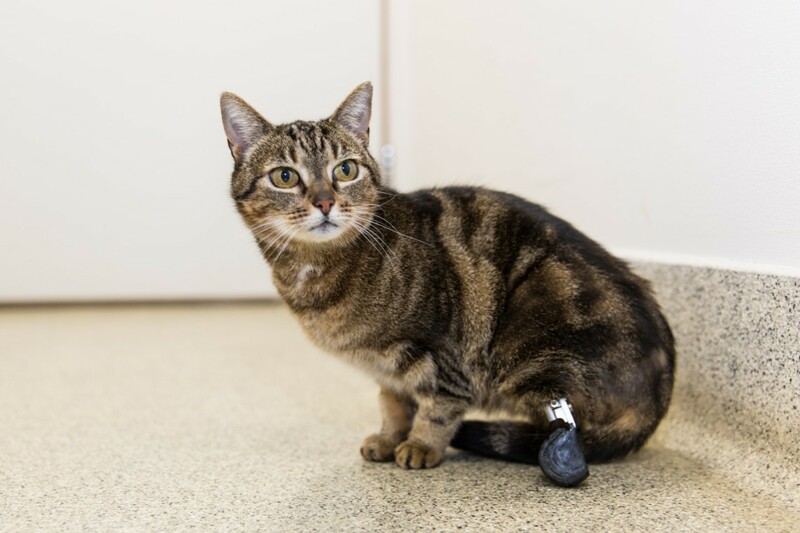 It was decided to place a PerFits amputation prosthesis, just like the one implanted in Oscar the cat, to salvage Pixie’s partially amputated limb and allow her to walk on the leg while the neurological function of her other leg improved. Pixie rapidly figured out how to use her new PerFits amputation prosthesis and within a few days, she was walking on her PerFits implant! 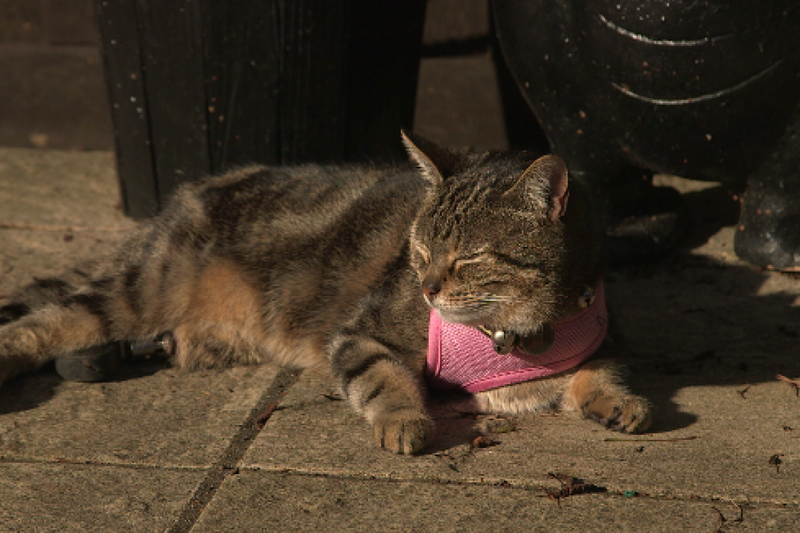 Pixie was soon back at home recuperating and over time the neurological function returned to her injured limb. While it is clear Pixie went through a lot of surgery we pride ourselves on managing animals with multiple traumas in the best way possible. Pixie is doing most of the things she used to get up to before her accident, including climbing the six-foot fence into the neighbour’s garden. She is a tough little cat and has a great quality of life. 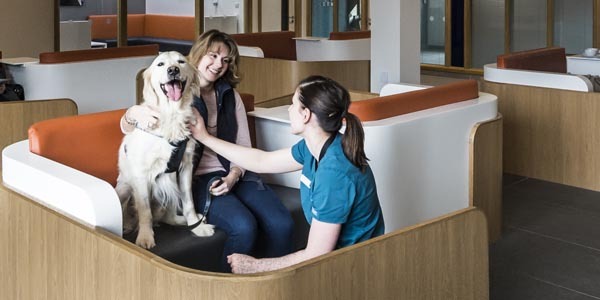 Diane says she is very proud of Pixie and grateful for the superb treatment from Noel and all at Fitzpatrick Referrals. 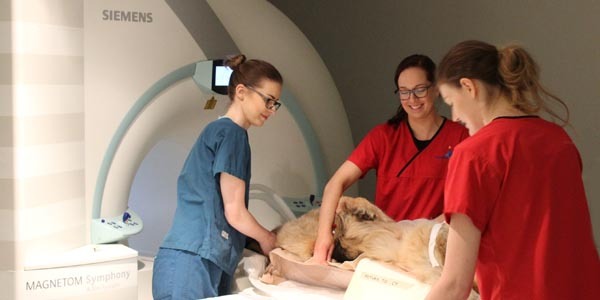 Round the clock veterinary care allows a dynamic treatment plan to be created that reacts to the ever changing needs of injured patients – be this alterations in pain relief plans, nutritional plans or rehabilitation strategies!